~Great writers (the published, the almost published, and the just starting out) who are also great people. ~Bootcamp. You were all awesome. Really. Thank you for your comments and suggestions. ~New faces. I love it when people come up and introduce themselves. ~Learning more about the craft. ~Authors whose eyes light up when they talk about their book/s. Their passion is contagious. I love hearing the stories behind the stories. ~Late night sushi. And pizza. And Cafe Rio. ~Don't wait unti l the last few minutes to try and get pictures. ~Make sure the camera is on the right setting before handing it over to someone else and asking them to take a shot. ~Sleep at least one, if not two full nights before the conference. ~Try to become more adept at matching name tags and faces. ~Muster the courage to talk to people you'd really like to talk to; overcome social shyness. ~Invite more people to late night sushi. I crave more time to talk to other writers about life and writing. 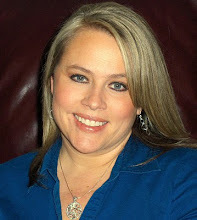 Author Tristi Pinkston serves up a winner! Ida Mae Babbitt is a cookie baking widow with an oven full of good intentions. When trouble seems to be simmering in the lives of a family in her charge, she determines she will rise to the occasion and speed to their rescue. Empty refrigerator? Starving children? Not on Ida Mae’s watch. With the assistance of her techie nephew, Ren, she assumes the role of an elderly Nancy Drew, ready to aid and assist in the name of service and goodwill. This cozy mystery is laugh out loud funny, a delightful character driven romp that kept me turning pages—I never knew what to expect next. Though Ida Mae and her sidekicks, Arlette and Tansie, are members of an LDS Relief Society, religion is only a backdrop to the story. There’s no preaching or proselyting in this little mirth packed volume. The unusual glimpse—espionage and intrigue–into the women’s organization is pure satire. Tristi blends wry humor and razor sharp writing to create lovable characters who make you giggle and touch your heart. I appreciated the introspection Ida Mae navigates when she realizes she was quick to judge a young girl in her community. The later part of the book is sprinkled with light romance that while predictable doesn’t bog the story down. The ending winds up with the bad guys held at knitting needle point a bit too conveniently, but I enjoyed it nonetheless. Secret Sisters is the first in a series worth looking forward to. You’ll find a sneak preview of book two, Ida Mae Rides Again, tucked in the back. I hope that during her next set of adventures the spirited matron of benevolence will share one of her cookie recipes. Three cheers for Ida Mae! More about Tristi on her website, and on her blog. My May 2009 interview with Tristi here. Stephanie Roberts is a victim of abuse, but making the decision to leave her abuser--her husband Mark--isn’t easy. Time and again she forgives his emotional and physical cruelty; she loves him and wants the marriage to work. However, when Mark lashes out at their teenage son, hitting him repeatedly, Stephanie decides she must act to save her children. 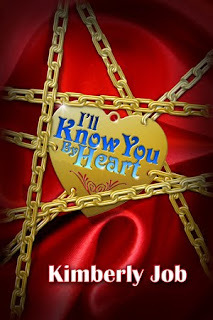 I’ll Know You by Heart, the debut novel of author Kimberly Job, struck a nerve with me because I once found myself in the same situation. My husband of five years was domineering and manipulative. He frequently beat me and I feared for my life. I didn’t leave him because I didn’t think I deserved anything better. It was only when I began to fear for the life of our daughter that I found the courage to depart. That was only the beginning of a turbulent ordeal. My ex-husband was good at showing remorse, he wanted me back under his control. But his good intentions were repeatedly washed away on tides of anger. In some ways similar to that of Stephanie Roberts, my passage to healing was long and painful. I’ve read that this novel is based on Kim’s own experience—my heart goes out to her. Enduring spousal abuse, being trodden into submission by the man who is supposed to love you, is heart wrenching and demeaning; one of the deepest betrayals of trust. 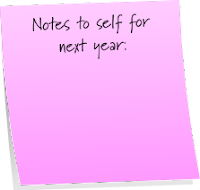 To relive abuse through committing it to paper is something I haven’t yet attempted. I admire Kim for her willingness to journey through turmoil and pain as she constructs the lives of Stephanie Roberts and Jared Wakefield, the man Stephanie falls in love with. Jared has endured his share of heartache as well. After losing his wife in a car accident he struggles to find himself again and to define his role as father to his young daughter. Kim deftly shows the inner struggles both Stephanie and Jared experience as they strive to maintain emotional equilibrium. And she has penned a cast of well-crafted family members, from children to in-laws, whose lives are also impacted by the inherent anguish and scars of violence, divorce, and loss. The story is testament of the power of love and the strength of the human spirit. I appreciate the invitation of Kimberly Job's publisher to read and review I'll Know You by Heart. I look forward to reading more of Kim's work. The day Stephanie Roberts met Jared Wakefield, she didn’t realize they’d met before. Running from an abusive marriage and trying to safeguard her children, she turns to Jared for support, but he needs more fr om her than she might be capable of giving. With her abusive husband looming in her past, the difficulties they must overcome to be together seem insurmountable. Is it possible for love to conquer all? I’ll Know You By Heart is a timeless romance that explores the possibility that relationships span the entire realm of eternity. A story about abuse, hardship, and betrayal, it is ultimately a story about the healing power of everlasting true love. One day while I was talking on the phone, my eight-year-old daughter wanted my attention. She had a problem that needed to be solved. I gave a motherly hang-on-just-a-minute gesture—my forefinger pressed to my lips—to indicate it would be awhile before I could help. She nodded and left a stack of playing cards on my desk, along with a note. A short time later, I ended my phone conversation and read my daughter's words. They posed a simple question: Do I have a full deck? I knew she wanted me to help her count her playing cards, but I had to laugh. On occasion I'd asked myself that same question! Growing up, I often heard the adults in my life refer to various people as being one card (or more) short of a full deck, a euphemism designed to gauge how with it someone was—or was not. As I got older, I gleaned the knowledge that we all must navigate many diverse circumstances in our lives, some not so varied, some vast; each shape us into who we become. Wouldn't it be wonderful if, no matter our differences, we could strive to see the good in each other? True, there are those, even in our own families, whose life choices divide us on matters of principle. Still, we can choose to look for the good, the best, and accentuate the positive—even if that means we have to love someone from a distance. Author Wayne Dyer has said, "When you judge another, you do not define them, you define yourself." Back to the old euphemism: I've learned many people—including myself—could, at least at one time or another in their lives, be accused of being a few cards short. I've also learned that it’s what we do with the cards we have that really counts. A few weeks ago my youngest and I talked about talents and destiny. We talked about things she’s finding out in life, surprises like discovering she has a real talent for piano. More than a talent—a gift. The discussion came about because of something she felt she had no talent in: history. She has a love hate relationship with the stuff. She loves reading about people and what they’ve done to make the world a better place. She has no regard for those who leave their mark of hatred on humankind, and she doesn’t like trying to commit the details of wars and politics to memory in preparation for tests. All that got us around to talking about the question of whether or not people come prepackaged with everything they need to succeed in life, to be the best they can be. We decided they do. They just need to chose whether or not to use it. We got silly and concocted a simple analogy: being human is like being a TV dinner. Remember she’s not yet into her teen years and I often think in the same age range. A TV dinner comes with a main course, vegetable and dessert. All you need to do is pop it into the microwave and it’s ready: a full meal. Yeah, I know. Some TV dinners can’t be considered a real meal, let alone a full meal, and the things might get undercooked or overcooked. Overanalyzation aside we decided that you can draw a parallel with life. Remember I said it was a simple analogy. We come packaged with the stuff to make us complete but if we don’t give ourselves a chance, believe in ourselves, we’ll never reach our destiny. We'll never undergo a metamorphosis that will take us from who we are or were, or believe we are or were, to who can become; take ourselves from a frozen state to one of being functional where we can utilize all we’ve been given. How does that apply to writing? What do you believe are the important factors in helping your characters discover the best in themselves? Then how do you bring it into play in their everyday lives?